Glittery goodness. ﻿I had some chipping when I wore the other glitter like this from this collection (I'm Not Lion) but I am on Day 3 and don't have any chips at all. 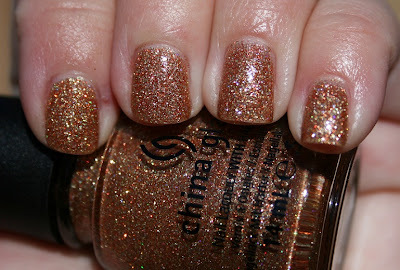 Hopefully you can see some of the holo glitter in the pic- you can click on it to enlarge it if not. It's really pretty and suits my warm skintone well.